Start by bringing the broth to a boil. When it has reached the boiling point, turn the heat to low and cover. Meanwhile, chop the onion or shallot, mince or press the garlic, and finely chop the sundried tomato. Heat the butter and olive oil in a large pot (I prefer to use my Le Creuset Dutch oven, but any pot will do) and let the onion cook until soft. Add the garlic, stir for 30 seconds, then add rice and let it absorb the butter and olive oil, then add the wine and stir while the rice soaks it all up. Now comes the standing, stirring, and sipping part (hey…the wine is already open!). 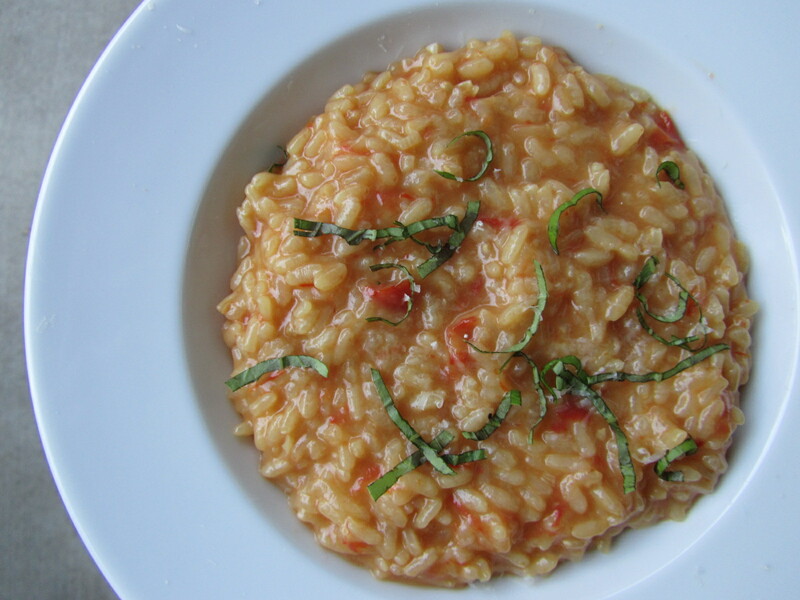 This, as far as I can tell, is the basic how-to for making risotto. Once the wine from the last step is absorbed, add one cup of hot broth from your covered pot. Stir until the rice absorbs it. Repeat until rice is tender…easy, right? Just make sure to stir pretty consistently and be patient while each addition of broth absorbs. When you have 1-2 cups of broth left in your covered pot, add the chopped tomatoes. They will give off liquid, so let that absorb before you add your next cup of broth. 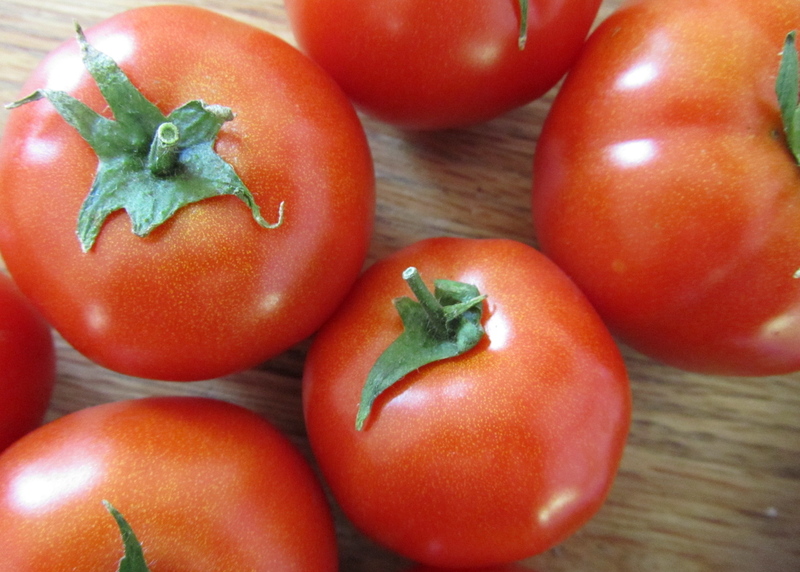 I love the addition of fresh, ripe tomatoes to this recipe – it really brightens it up! When the rice is firm but not crunchy (you might not need to use all the broth), turn the heat off and stir in the Parmesan. Garnish with basil and extra Parmesan, if desired, and enjoy! This entry was posted in main course, pasta, Sweet Life Laur Original, vegetables, vegetarian, wine and tagged risotto, summer, sundried, tomato, wine by Laura Zolnoski. Bookmark the permalink.